Let’s be honest, link building has got a bad reputation, which can be pretty frustrating if this is your livelihood. You hear about creating content like it’s the Mother Teresa of marketing, but when you focus your efforts on it, you just can’t seem to get the results you’ve been promised. Sound familiar? Truthfully, we know that building valuable links to your site can have a huge impact on where you sit on Google. And we know that content marketing can help you do that. But the big misconception here is that all you have to do is create content on a whim, and those links will roll in. Fear not! I’m about to show you how to create content that’s going to bring you a ton of authoritative links to your site. 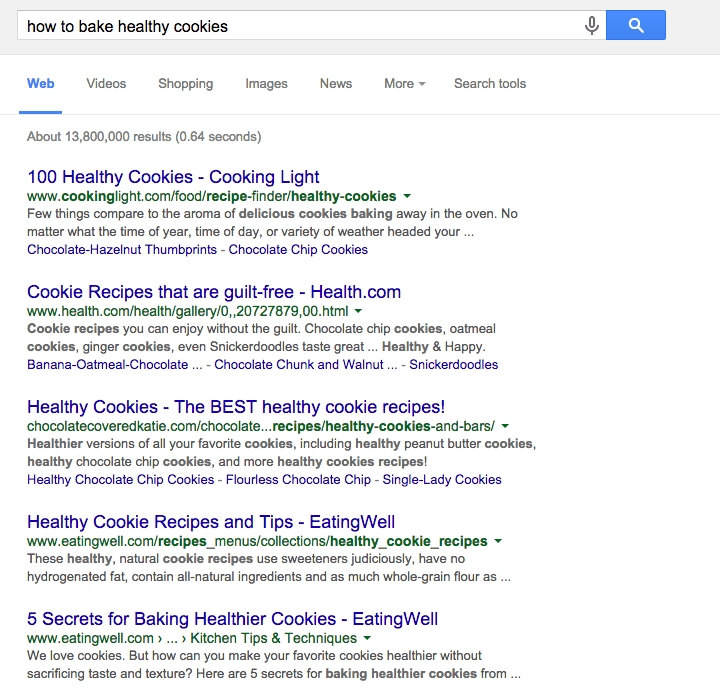 This may sound like an obvious step, but first, make sure your content topic is really good. When your goal is to attract a ton of valuable links to your content, quality has to overrule quantity every time. When it comes to building high-authority backlinks, you need to come up with something viral-worthy to get yourself into the big leagues. You should already know your industry and your target audience, but how do you create content that’s valuable? A popular tactic called the Skyscraper technique made famous by Brian Dean can help you here. First, check out BuzzSumo, which is a handy tool to use if you want to find top-performing content within your niche. Now it’s time take one of those topics and build upon it, so that you can build links from it. 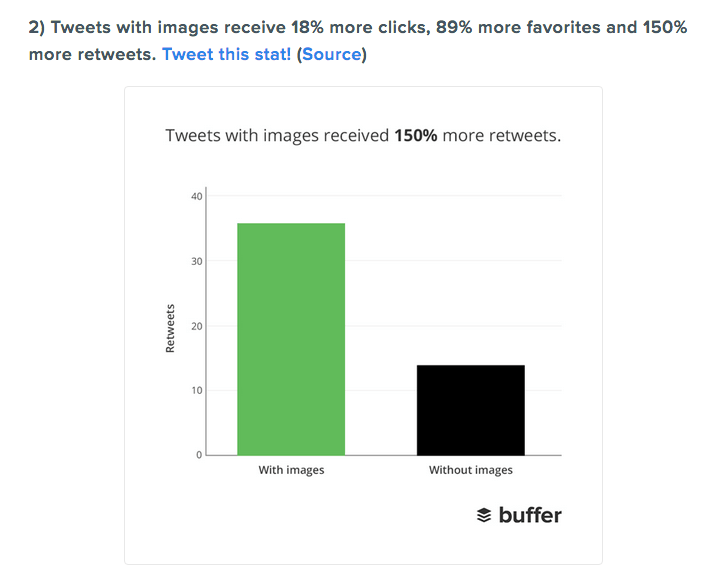 The takeaway from the above examples is that they all include insightful statistics, they all include visual examples, and they each teach the audience something they can use in their own marketing efforts. So how do you make this content even better? 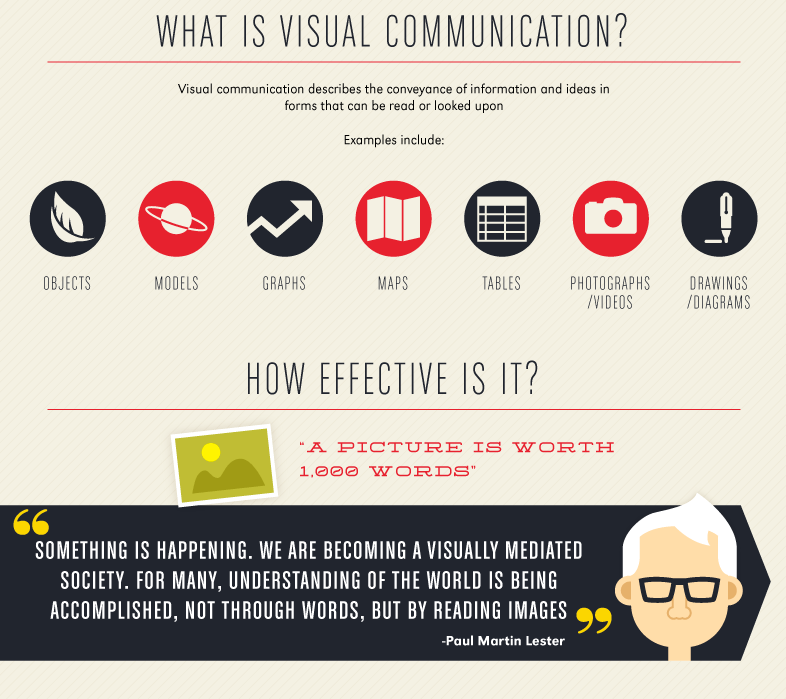 Turn the information into an infographic/videographic: Did you know that just last year, video content increased from 8% to 58%, and infographic creation increased from 9% to 52%? These two types of content are taking over our screens because they are far more easier to consume than a standard written article. Include more content: Include more tips and add more stats from your own research, as this will help to bring authority to your content. Take it in a different angle: You may have an argument against the topic in question. People are always interested in reading a different side of the story. Update the content: Are some of the stats being used out of date? Are the examples used outdated? The more current and relevant you can make it, the more it will help to increase links to your content. It helped us to get 89 back links, 6.1k page views, 42 referrals, and was shared across many high authoritative sites including HubSpot, Storify, Scoop.it, and by influencers such as Guy Kawasaki. It’s relevant to the target audience. Once you’ve created your content, you need to optimize the landing page so that you can bring in organic traffic. 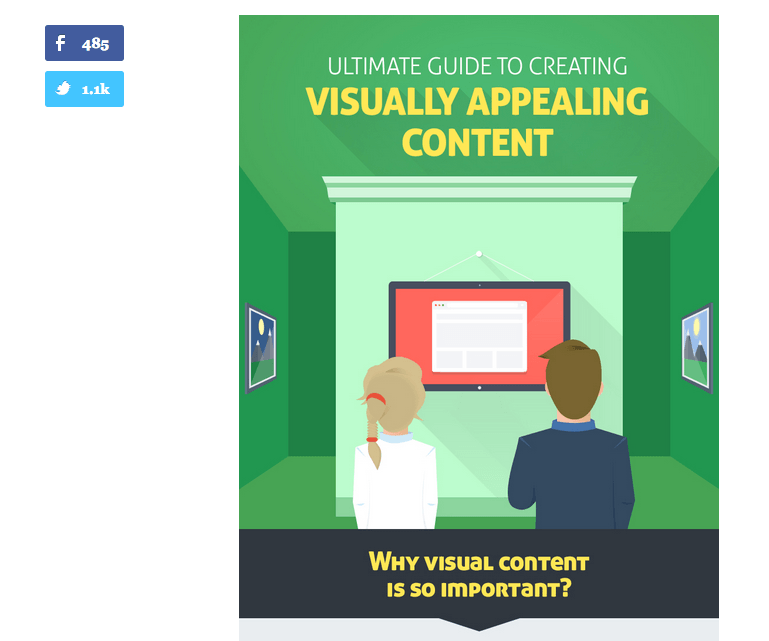 I’ll walk you through it using this example from QuickSprout, which is an infographic detailing how to create visually appealing content. The final step—and this is a big one—is to get to work on generating those valuable links back to your content. 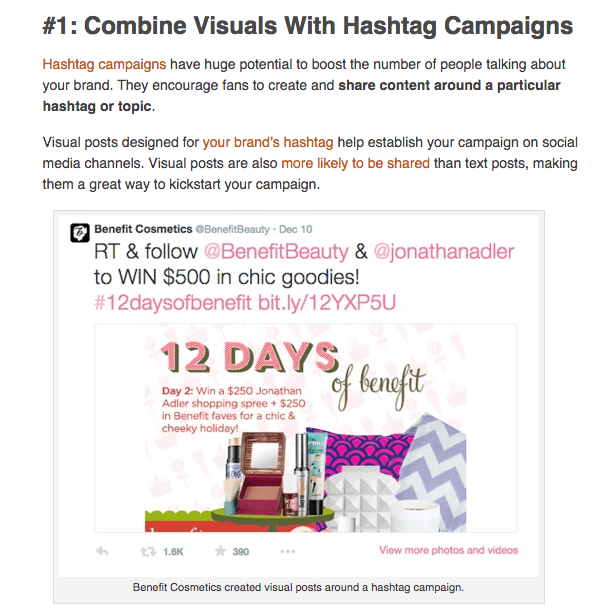 To do this, you need to reach out to relevant influencers, bloggers, and publishers. This is where you’ll gain those valuable links because they are the proud owners of highly authoritative websites. But how do you get them to link back to it? Now you have a list of top websites that publish content on your chosen topic. The next step is to visit each site, find their contact details, and email them with an offer they can’t refuse—your amazing, relevant content! When you send your email, you need to think smart and build up a rapport. Don’t just write a generic message and hope that they’ll link to your content. Do your research, read some of their published posts, make reference to it, and politely ask if they would like to see your content. A personalized email like this shows that you’ve taken the time to check out their site, you like their content, and if anything, you’re doing them a favor by sending them some highly relevant content. 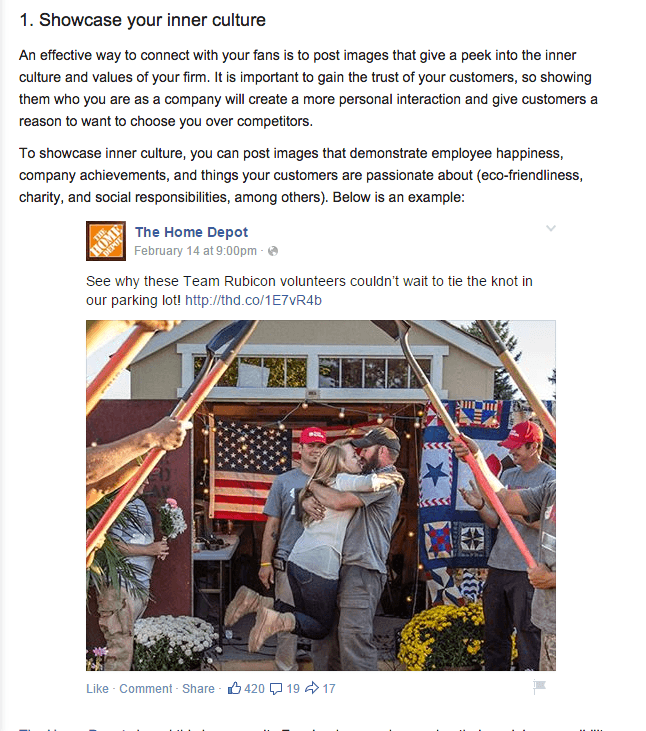 When they reply, you can send them a link to your content. And that’s how you achieve a highly valuable link to your website. 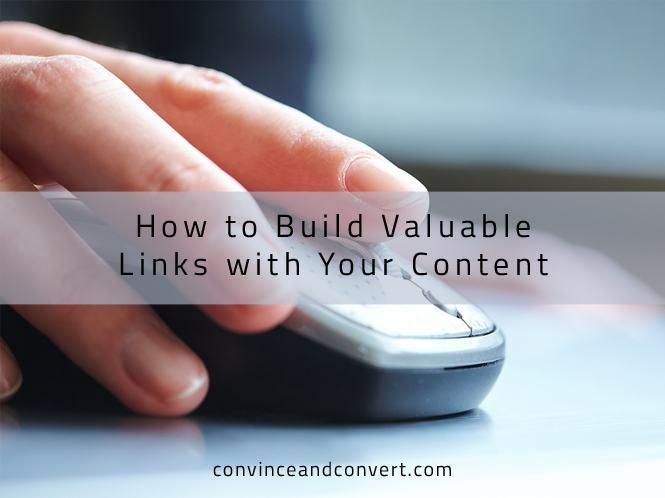 Content and link building can work together, so long as you use the right strategy. Sarah Quinn is a copywriter for Content Marketing Agency Wyzowl. Wyzowl creates animated explainer videos plus other marketing content including infographic, ebooks, and blog posts.